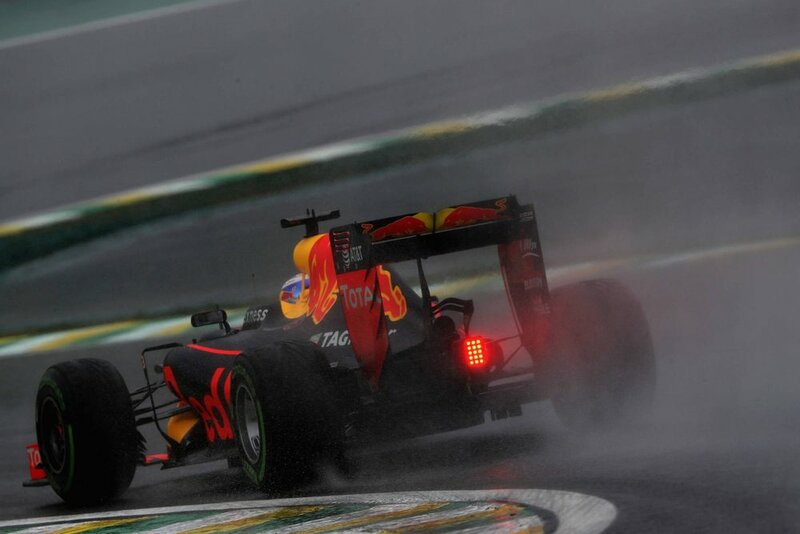 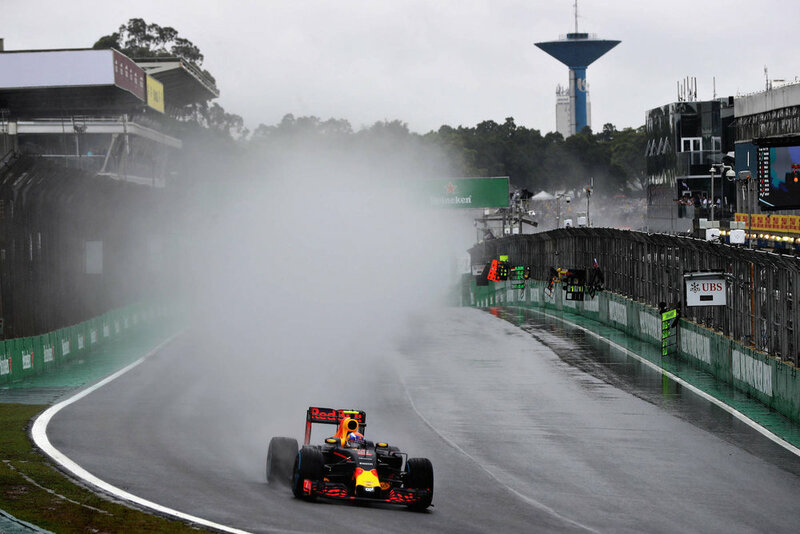 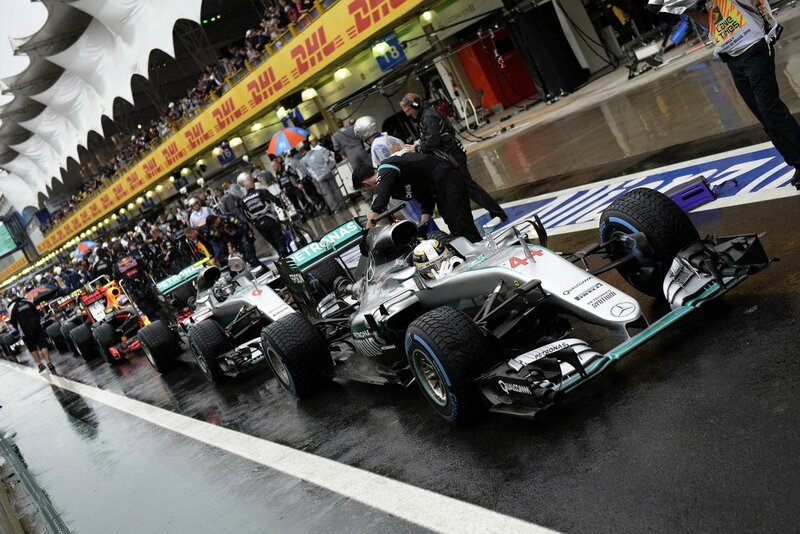 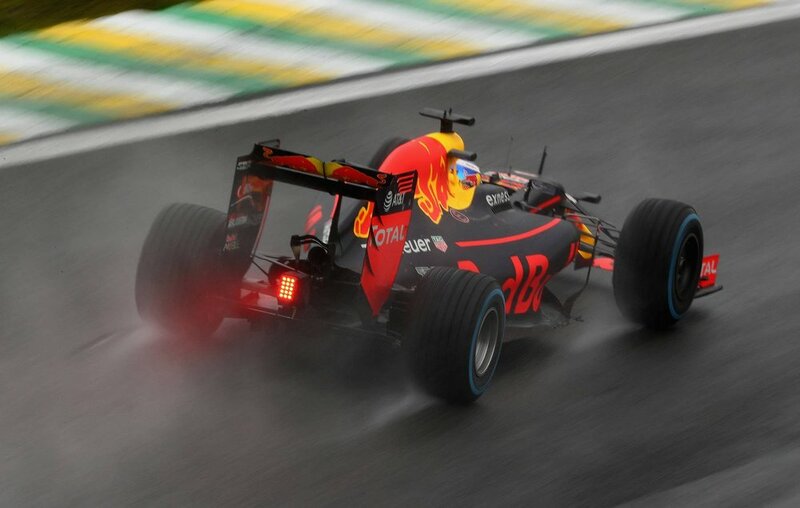 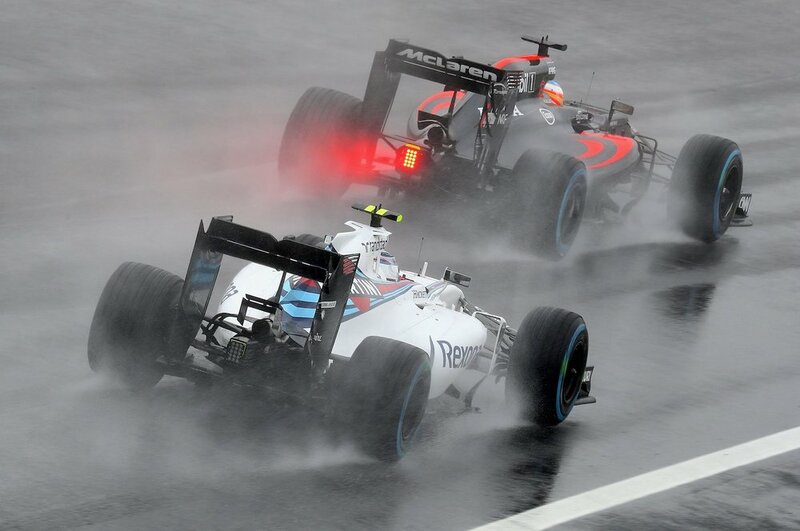 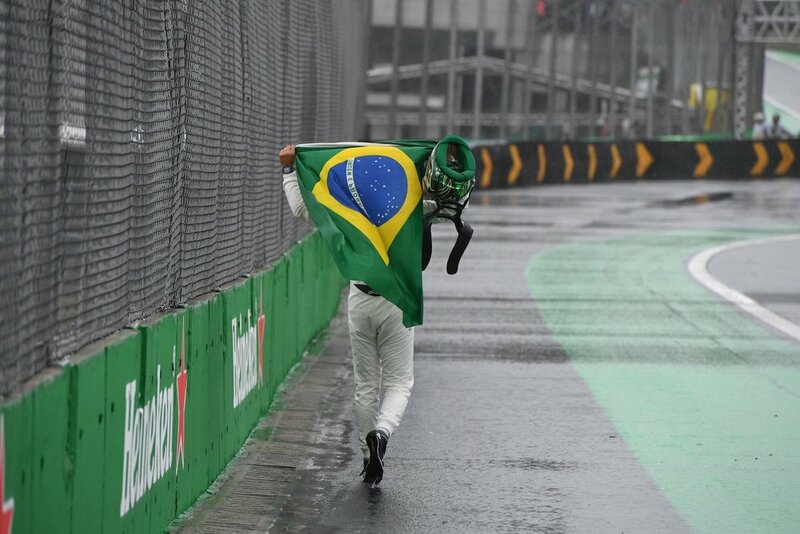 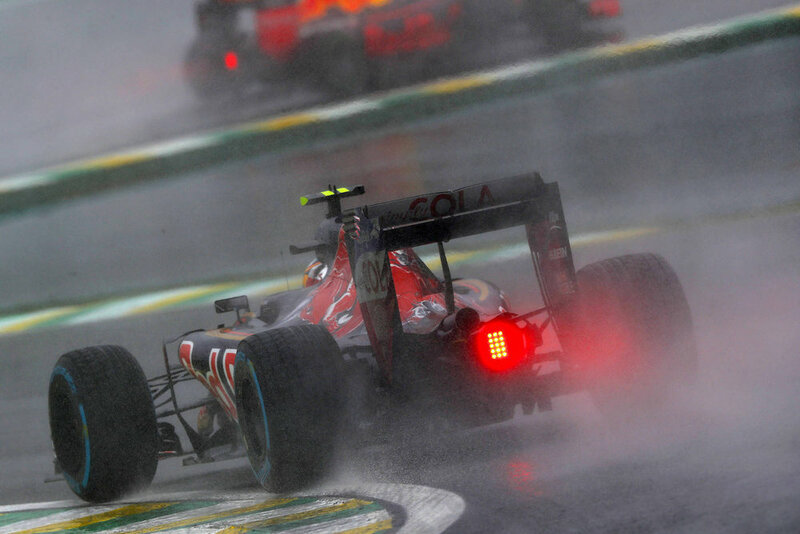 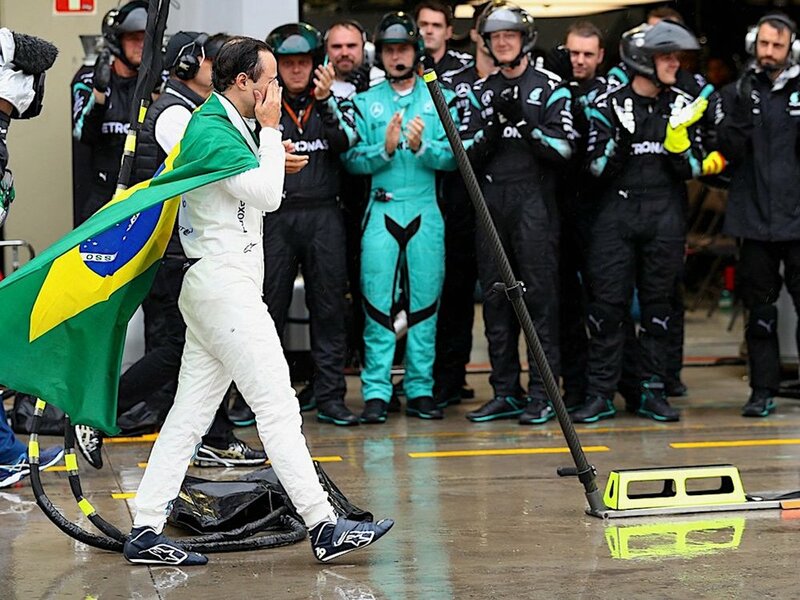 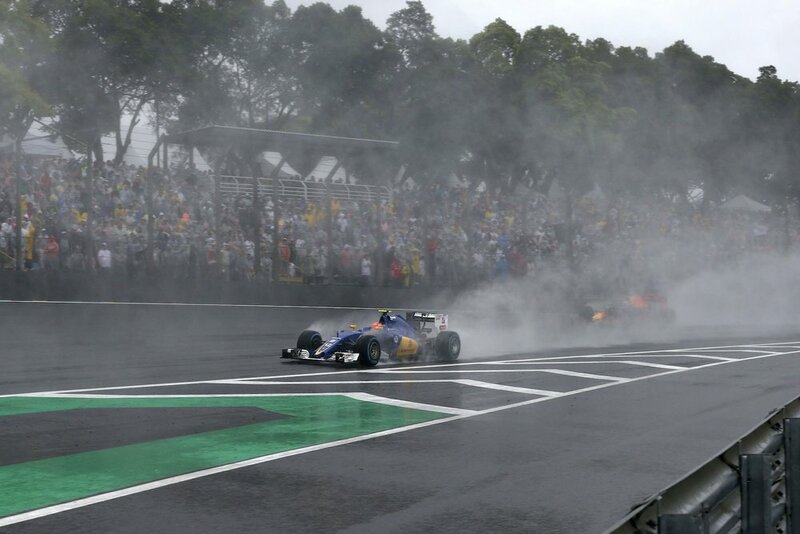 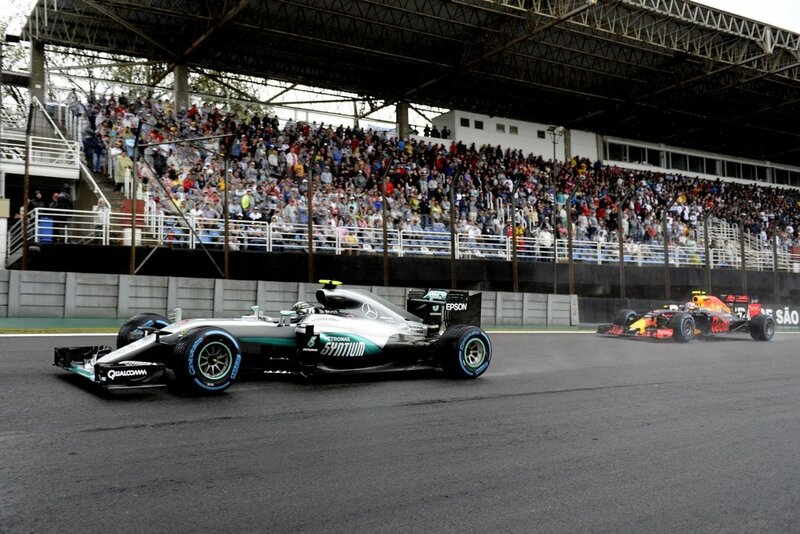 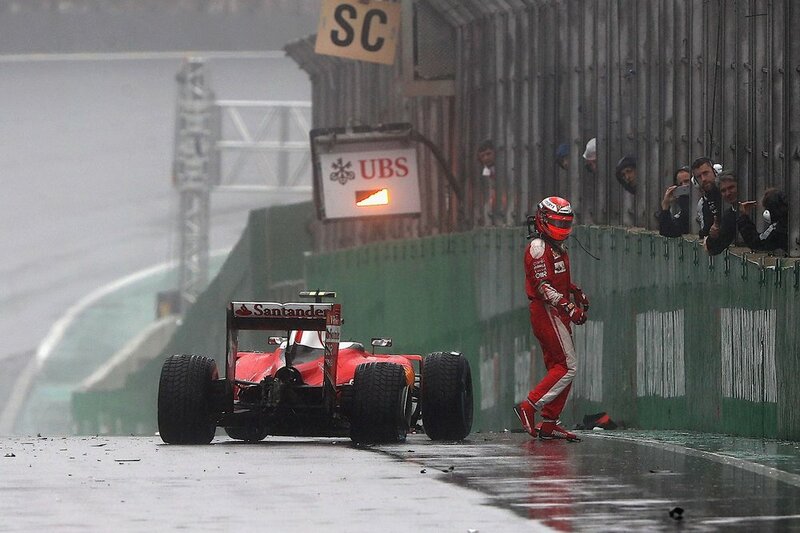 Lewis Hamilton wins a hectic and very, very wet Brazilian Grand Prix, and cuts Rosberg's lead to 12 points. 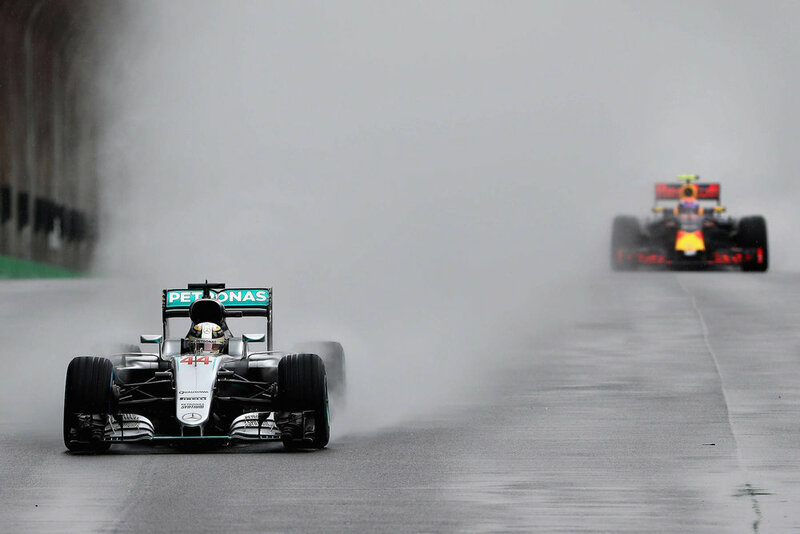 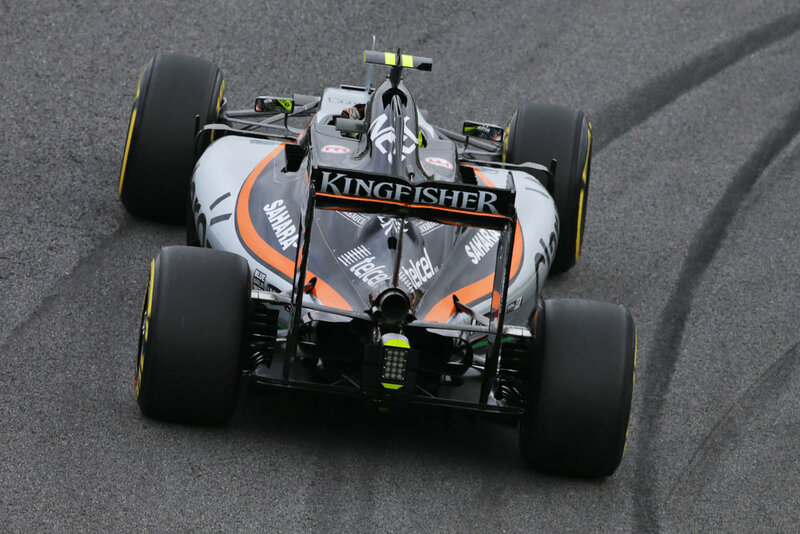 The 2016 Drivers' title will be decided in Abu Dhabi. 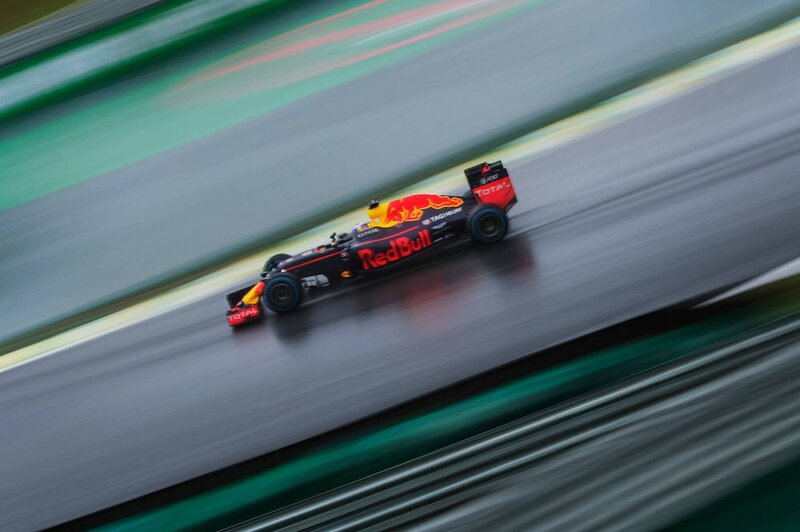 Max Verstappen completed the podium after a masterful drive. 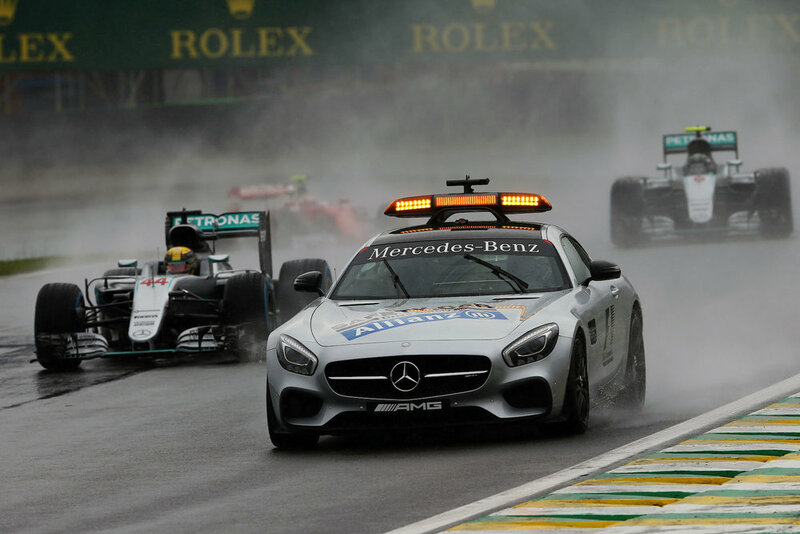 The three hour race started behind the safety car, which had to come out on five different occasions. 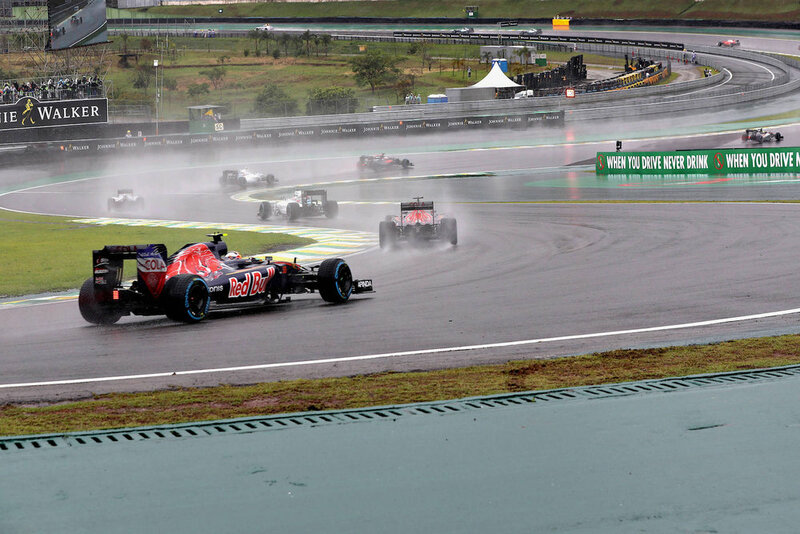 There were several crashes, mainly due to aquaplaning, and two red flags.